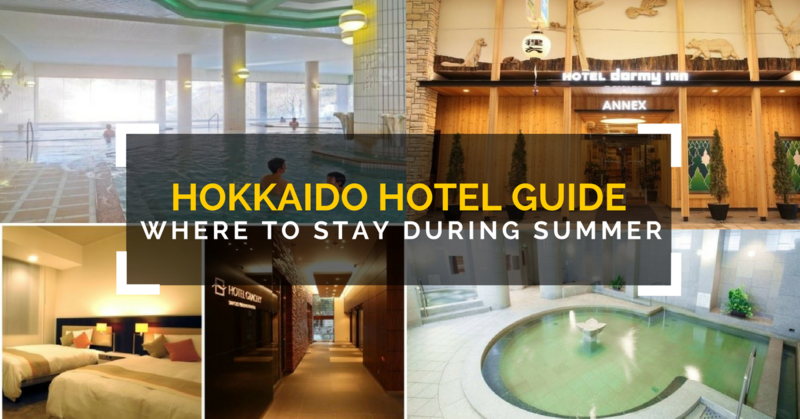 Where to Stay in Hokkaido in Summer: The Ultimate Seasonal Travel Guide for Singaporeans! For many Singaporeans, Hokkaido is the inspiring winter destination. The Sapporo Snow Festival is the major visitor highlight as the island transforms into a white winter wonderland. But this northern Japanese island is equally beautiful throughout the rest of the year. Spring cherry blossoms and autumn foliage create two of Japan's most inspiring landscapes, filling the panoramas with a kaleidoscope of colours. During the summer, endless national parks and a mild climate help to make Hokkaido an outdoor playground, plus the Sapporo Summer Festival attracts many Singaporeans. With so much on offer in Hokkaido, choosing the time of year is a great starting point for your accommodation search. The location of the attractions vary from season to season, and getting it right can mean benefits like saving on travel time, or getting a better deal on your hotel if you’re interested in staying closer to particular sights. With over 300 million visitors per year to HotelsCombined, we’ve put together a list of the Top 20 hotels booked, and our top recommendations for each season. 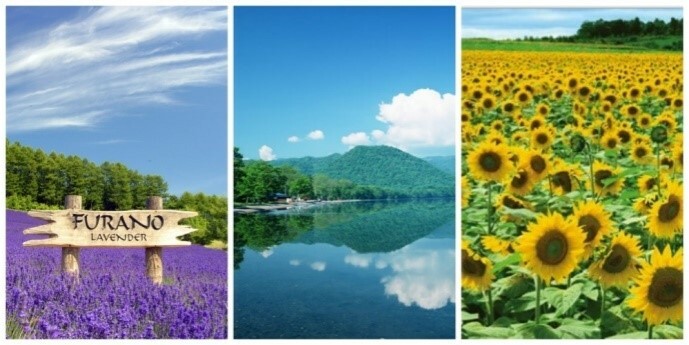 Summer in Hokkaido offers contrasting experiences. From June to August this is an island of adventure, with rolling fields, untouched wilderness, and many natural hot springs to soothe the legs. It’s milder and less humid in Hokkaido than most other Japanese destinations, providing respite from the heat and an ideal temperature to explore the island’s wild national parks. The Sapporo Summer Festival takes place for four weeks in the region’s capital city and many visitors spend a few days here before venturing off in different directions across the island. 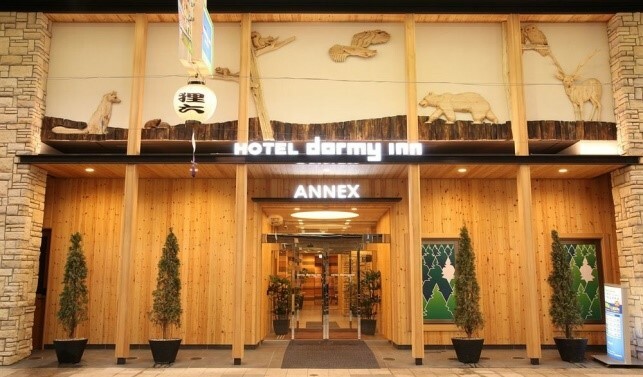 Centrally located Sapporo hotels are ideal during summer as they are within easy reach of the festival and can connect to destinations all across Hokkaido. Towering above the Sapporo landscape, this luxurious hotel is quickly becoming an icon of the city skyline. Many of the rooms have expressive views over Sapporo, especially those on the highest floors overlooking the river. The modern Art Hotel Sapporo has a variety of rooms, all of them providing a sense of space that is uncommon for Japanese hotels. Odori Park and the Sapporo Summer Festival are a 30-minute walk away, or they can be accessed using the Sapporo subway system. Susukino is the closest major train station. 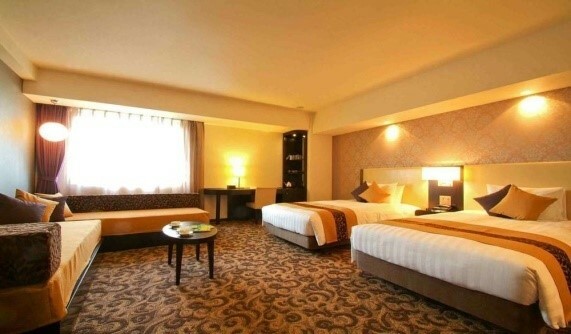 Mercure Sapporo is just a ten-minute stroll from the Sapporo Summer Festival and is also very convenient for visiting the restaurants and shops of Susukino. 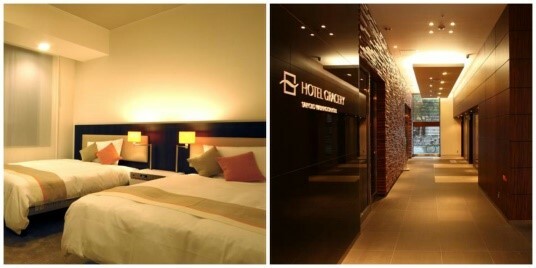 Stylish and spacious, this is one of Sapporo’s best hotels in the three-star range. A variety of restaurants provide an alternative to the food stalls at the Summer Festival while the trendy lobby area feels more luxurious than the hotel’s star rating. Susukino Station is easily accessible on foot and from here it’s possible to travel across Sapporo, as well as connect with other Hokkaido destinations. Surrounded by green mountain slopes in Noboribetsu, this historic ryokan provides iconic Japanese accommodation. The traditional rooms come with tatami mats, enabling visitors to experience the local way of sleeping and eating. This style is in keeping with the enchantment of the surrounding area, which is packed with hot springs and walking trails. For exploring rural Hokkaido in summer, staying at Daiichi Takimotokan means visitors don’t need to have their own transport; many trails can be easily accessed from the ryokan. The on-site onsen is extremely spacious, providing a place for visitors to unwind after a day spent exploring. Hokkaido is dominated by national parks and a sense of wilderness, providing an outdoor playground throughout the magical winters, spring cherry blossoms, mild summers, and wonderful autumnal colours. With four distinctive seasons, choosing the right time is the first step in deciding where to stay in Hokkaido. Let our list of the Top 20 hotels booked on HotelsCombined, and our top recommendations for each season, inspire you with your upcoming Hokkaido adventure. At HotelsCombined, we know that booking accommodation online isn't easy, but we believe it should be. Having to trawl through a hundred websites looking at a thousand 'deals' can be overwhelming and complicated. At the end of the day, you just want to know you've booked the hotel that's right for you - at the best possible price. We saw the opportunity to do something about this. Since then we've been working hard to find you the best hotel deals.